Multi-cookers have been getting quite popular these days as not all people have the time to cook meals. If you are running late, or too busy doing household chores to make a quick dinner, you’ll realize that most recipes take time to cook even with the simple ones. Therefore, that’s where multi-cookers like the Instant pot comes in. 1 What is an Instant Pot? 2 What Does the Appliance Do? 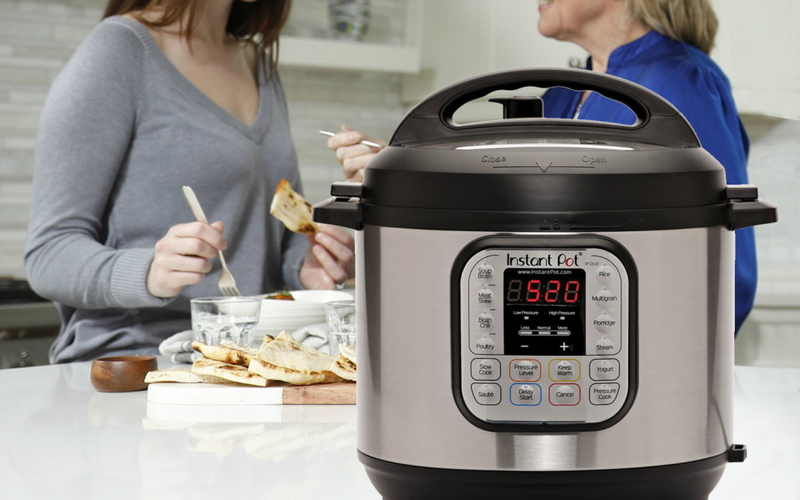 You pretty much have a good idea of what an “instant pot” is right now, and if you were to tell about it to your friend or family, you’d probably describe it more like an electric pressure cookers. However, you’ll most probably mention that it isn’t just a simple pressure cooker, as the kitchen appliance can almost cook anything and instantly prepares it in record time. But this is not just an idea, the device does actually work as a pressure cooker. The only difference is that this device has a smart program, where you no longer have to worry about its temperature and time of cooking. All of these activities in just one device, no wonder Instant Pot devices has been quite popular in most household areas. And to make it easier for you to use the device, it also comes with pre-programmed settings. We have already mentioned what an instant pot can do, therefore the machine is basically like a composite pressure cooker that comes with modes to make it more versatile. The cooker just allows cook, steam, and bake in a short period of time. Since the machine seals the food’s steam while cooking, it can evenly cook the food while also keeping its nutrients, and instantly preserve its natural flavors. Eating a healthy and tasty food is a really good combination which helps with your overall health. Despite the pot’s multi-purposes ability, it actually uses less energy to do its cooking job. Since the pot is encased within a fully insulated vessel, it helps makes up for the minimal heat loss during the machine’s usage. The pot can slow cook at a fast pace, but despite its cooking speed, it still produces the same softness of meat that basically melts in your mouth. This is a perfect kitchen appliance to use, especially if you want to prepare a beefy dinner for your family. Using an instant pot device is one of the safest ways for you to pressure cook your meals. It has a pressure limit controller, locking lids, and an emergency release valves just in case something went wrong with your cooking. For those busy people out there who are too busy to prepare their own meals, then you start considering buying your own Instant pot for your home for a healthier living lifestyle. Not only can it cook your meals much faster, but it can also make sure that your food is prepared to be healthy enough for your body.